So you're planning a trip: you've got your travel plans down to a T. Flight booking, check. Passport, check. Private airport shuttle, check - you don't want to be bugged by a bunch of strangers right at the start of your trip. All is going according to plan, but hang on, you're being watched! Certain airlines allow you to pick who you want to sit next to via Facebook. This feature is available when you check in online between 24 and 2 hours before your flight. This makes travelling a little creepy - as if sitting next to a stranger for a few hours wasn't bad enough, now that stranger might have chosen you as a seat buddy! My initial reaction was: “Oh cr*p! What about kids travelling by themselves? !” I often see kids travelling alone to visit a parent or relative…surely this opens yet another doorway for creepy predators? Thankfully our national carrier didn't up the ante a la Virgin America with their flirting service where you can send drinks or a snack to someone you fancy via the in-flight entertainment system. Being watched and hit on in a confined space where you can’t escape… no. Just NO, Sir Branson. We vote NO. Stop this madness! Travelling to the Mother City often turns into quite an expensive exercise which could, if one is not vigilant, cause credit cards to spontaneously burst into flames and self-destruct. With a myriad of 5-star hotels with 5-star price tags employing their crafty tactics to seduce your senses, there is an alternative that is just as comfortable – sans the room service and extortionate prices. Enter the modern self-catering or bed-and-breakfast establishment. Cape Town is home to some of the finest B&B and self-catering establishments and the best part is, you’ll be able to afford it! Cape Town boasts a vibrant nightlife and some of the most popular attractions in the country - sure to keep you entertained during your stay. There are too many to feature here, but below you’ll find two great spots that is guaranteed to please the business or leisure traveller. Chisnall House offers superb self-catering and bed-and-breakfast accommodation in Constantia. Not only will you be enjoying comfort, you’ll be spoilt with stunning views and a relaxing garden to explore in your spare time. The beach is an easy 15 minute drive away, 20 minutes into the CBD or a 30 minute shuttle drive to the Airport. If you’re a wine lover, you’ll also be pleased to know that the guesthouse is surrounded by 12 top vineyards, including the 350-year-old Groot Constantia. Also in the vicinity you will find many restaurants (ranging from easy to fine-dining), the Kirstenbosch Botanical Gardens and golf courses. Accommodation is available on a Bed & Breakfast or Self Catering basis to suit your needs. To visit their website or make a booking, click here. 808 Cartwright’s Corner is an upmarket and affordable self-catering apartment situated in the heart of the Cape Town CBD. The building offers a concierge, gym and a heated pool. Many excellent local restaurants, Newspaper House, Parliament, Courts, Grand Parade, Castle, Company Gardens and Greenmarket Square are all within easy walking distance of the apartment. The famous V & A Waterfront and Cape Town International Convention Centre is just a short drive away. The biggest bonus here is that guests who book for 3 or more nights get a complimentary airport shuttle to CTIA! To visit their website or make a booking, click here. Good news travellers! ACSA just made travelling more convenient with the unveiling of its free Airport App. This app will assist travellers navigate airports with the help of a detailed airport map, developed in conjunction with TomTom and Micello Indoor Maps. It's available for Android, Apple and Blackberry (except the Q and Z series) devices and forms part of the first phase to introduce innovative solutions to improve efficiency at ACSA airports. there is also a list of frequently asked for information and contact details for the Customer Care department. ACSA did their homework and the research shows that almost 40% of their customers are the Gen-Y group: tech-savvy and between the ages of 16 – 35. These travellers want convenience, a seamless “virtual airport” experience and reliable self-service options. Whether we like it or not, technology is here to stay and the Airports Company South Africa is doing what all successful businesses are doing: taking advantage of emerging tech to respond to customer demands. The Department of Home Affairs has recently announced new travel regulations, particularly for adults travelling with children. These changes caused some panic, but may be worth supporting seeing as it’s serves to curb child trafficking. Thankfully they decided to extend the start date for these new regulations as such short notice changes would cause chaos for families travelling with children seeing as school holidays are only a couple of days away. 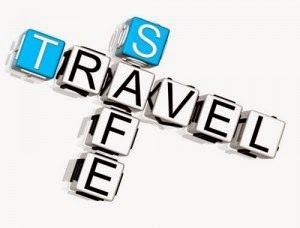 You now have until the end of September 2014 to comply with the new travel regulations and avoid disappointment and delays in your travelling arrangements. Travelling internationally with children, parents are now requested to provide an unabridged birth certificate (including the details of the child's father as well as the mother) of all travelling children - this applies to foreigners and South Africans alike. Unabridged birth certificate applications can take anything from six to eight weeks to complete and without it, travel will be denied. When children are travelling with guardians, these adults are required to produce affidavits from parents proving permission for the children to travel. Without proper procedures being followed and educating travel agents, airport staff, airlines, airport shuttles and other relevant stakeholders, this could have a negative effect on the South African travel industry. Only one more day until the SWC 2014 kicks off and we can hardly contain ourselves! The roaring crowds; chanting anthems and shouting profanities at the refs - it all just adds to the excitement. 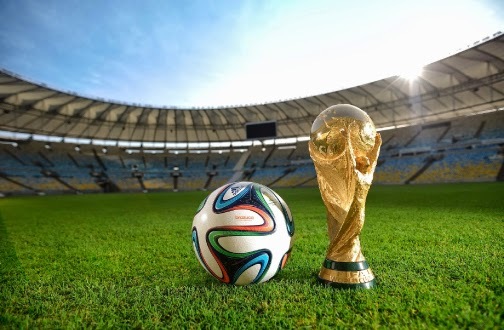 If you're fortunate enough to be travelling to Brazil to catch a game or two and shake tail feathers with the carnival girls, remember to book your airport shuttle - we wish all our clients a pleasant journey and crazy experiences! May the odds be ever in your favour and may the best team win! It's been a tough couple of days in the travel industry. Locally we have had the shooting incident at Cape Town International Airport and a plane crashed and erupted into flames during take off in Massachusetts over the weekend. There was a big fuss in Cape Town for a day or two after the shooting and naturally some of our clients were concerned about whether or not their airport shuttle will be there to drive them to and from the airport. Usually one would expect services to be disrupted after such an incident, but life went on and globetrotters went about their travels as usual. Running a travel-oriented business requires nerves of steel and always being on top of what's going on out there as your customers rely on you for their safety when travelling. As long as the airport's standing, we'll be there! We’ve all had a bad trip, and I don’t mean the hallucination and seeing naked fairies and purple unicorns kind of trip. I’m talking about a bad, really bad, travelling experience – the kind that makes you fall down into a heap of misery and wish you stayed home and watched back-to-back series instead. Now I don’t want you to wallow in self-pity, I’m here to tell you why this bad experience is actually good for you. Yeah, you heard correctly, a bad travelling experience can be good for you! First of all, your friends are sick and tired of hearing about your "life-changing" experiences. They've had their fill of tales about “you know, when I went to Italy I stumbled across this quaint little pizzeria at the…” or “this coffee shop is lovely, it’s a lot like XYZ in NYC”. They've heard enough about the glitz, the glam, the 5 star resorts and the glitter. We've all heard enough. Let me be the first to tell you: secretly they think you’re full of it, that’s why they lose interest in the first couple of minutes. Secondly, what people want to hear is the dark side of things, people love dirt. It makes them feel good to hear about someone’s bad experience – we’re all sensationalists at heart. Your peers will be hanging onto your every word and you will be the center of attention the entire night when you share the bloopers. Did you trek through the Himalayas and trip into a pile of your trusty old pack-mule’s crap? People want to hear about it and laugh at with you! Were you stranded without an airport transfer and robbed of all your possessions except a pair of underpants? People want to hear this too! Did you take a wrong turn and end up in a strange, unmentionable place? Spill! Sharing these moments will gain the interest of people, instead of making you appear smug. You will have more friends – everyone wants to brag about having a friend who had to MacGyver his way out of a sticky situation. A bad travel experience may not be funny right there and then, but a few months down the line you’re left with memories you would not have had otherwise! You’re left wiser and richer in life experience. Embrace the bad experiences, learn from them and more importantly SHARE them!